It's more than just Googling yourself. Upset about how much of your data Facebook has? Wait until you see what Google has got on you. Dylan Curran, an information technology consultant, took a look at just what Google knew about him. Even with his experience as a web developer, he was shocked. "I was really like: 'Oh, my God. This is preposterous,'" Curran said. When he requested his data from Google, he found that it was constantly tracking his location in the background, including calculating how long it took to travel between different points, along with his hobbies, interests, possible weight and income, data on his apps and records of files he had deleted. And that's just for starters. He said he didn't think Google was doing anything malicious. He just felt newly uncomfortable with being so closely tracked. "It's wrong to trust any entity that big with so much information," he said. "They're just trying to make money," and at some point, "someone is going to make a mistake." His posts hit a nerve, with the thread racking up almost 150,000 retweets. What Curran found is the reality that Google's millions of users face every day, said Scott J. Shackelford, an associate business professor at Indiana University focusing on cybersecurity law and policy. "All Google users are being tracked by default in terms of physically where [they're] going and located," Shackelford said. "That is shocking to a lot of people." Google does not sell this information and hasn't experienced the same kind of data security failure as Facebook, which has come under fire after the personal information of 50 million Facebook users was harvested by a quiz app and then allegedly handed to a data analysis firm that targeted ads for President Donald Trump's election campaign. A spokesperson for Google stressed that people need to be aware of their online privacy choices and review them regularly. The good news is that Google does make available an array of privacy tools through the My Account feature that let users see their personal data and tracking history. It also allows people to turn off tracking mechanisms or delete individual pieces of data they want zapped. It does require digging through several screens and it's not always clear where a feature you want is located. There's no big "off" button to just minimize your footprint to the smallest Google needs to give you basic services. A complete map of where you've been at what date and time since you started using Google on your phone. Your entire online and search activity across all your devices. And you can download it all as one big file. If there's any individual piece of data that users want to delete, they can click the three dots next to the item and choose "delete" or the trashcan icon. 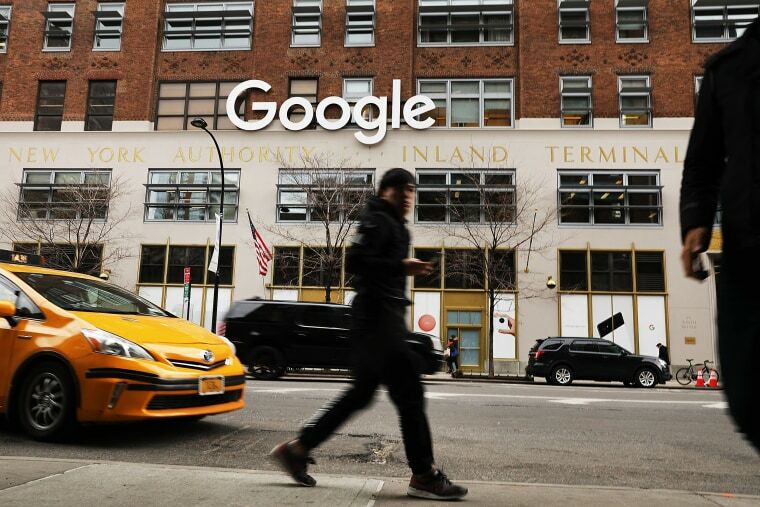 Google has said it is doing its part to protect user data, which it uses to deliver personalized search results and helpful information, along with ads. "Data helps improve our products, keep them safe, and — with your permission — tailor them to match your interest," Google said in its most recent privacy tool update. "We build powerful, easy-to-use tools that enable you to adjust your privacy preferences, anytime. We’re constantly working to refine these tools based on your feedback." The site's privacy page says: "When you use Google services, you trust us with your data." Those kinds of assurances may not comfort users who, thanks to the Facebook scandal, have suddenly awakened to how much they're being tracked and may feel uncomfortable with the exposure. Facebook doesn’t sell your data. It sells your attention. Google doesn’t sell your data. It sells access to your intent. Google "has built a global commercial surveillance machine that rivals what the [National Security Agency] or other intelligence agencies can gather in order to become the leading global digital advertising company," said Jeff Chester, executive director of the Center for Digital Democracy, a Washington-based nonprofit privacy watchdog. The suddenly fervent debate over tech companies and how they collect and handle user data could even question the fundamental underpinnings of "Web 2.0," where people blithely hand over their user data in exchange for free web services. "These companies' business model is predicated on advertising," Jason Hong, an associate professor of computer science at Carnegie Mellon University who studies privacy, wrote in an email. "By collecting more data about people, they can do better targeted advertising, increase clickthrough rates, and thus increase revenues." Tech companies are now facing legal challenges that question how they handle data. Three Facebook users have joined a class-action lawsuit against the social media company over its recording of call and text message history of Facebook Messenger users on the Android operating system, alleging privacy violations. Facebook has done some damage control. The company began rolling out a dashboard of new privacy control tools Wednesday morning. Chief Executive Mark Zuckerberg has issued statements acknowledging his company's mistakes and is currently under pressure to testify before Congress. And it's not just social media platforms under review. On Wednesday morning, Amazon's high-flying stock took a $40 billion hit on the resurfaced rumor that President Donald Trump wants to "break up" the internet retailer with antitrust regulation.